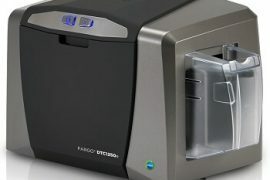 The next generation of enhanced HID Global FARGO® Direct-to-Card (DTC®) printers are easy-to-use, reliable, and more affordable than ever, providing an even greater array of the premium features and premier support that you’ve come to expect from HID Global. Our wide range of secure issuance products includes everything from plug-and-play, entry-level printers to the industry’s most sophisticated printing and encoding solutions, enabling the highest levels of identity security. Now you can print unbelievably high-quality cards and credentials when you need them, where you need them. 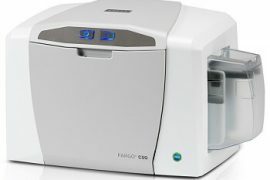 Reliable and affordable Fargo ID card printers. Create high-quality, visually rich ID badges on demand. HID Global’s built-in Swift IDTM badge application enables virtually anyone to create their own credentials in seconds — without having to install any additional software or incurring costs for outsourcing the production of your employee or visitor IDs. Easily maintain your printer without IT assistance. 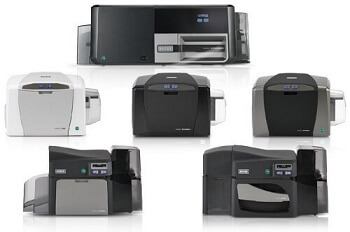 Designed with efficiency in mind, the C50’s all-in-one ID printer ribbon and card cleaning cartridge can be replaced and reloaded as needed by you, the user in just minutes. 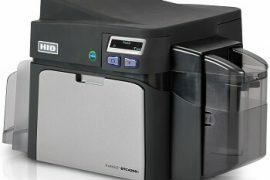 Not sure what kind of ID card printer you need? Give us a call today.